It is estimated that the US economy loses $179 billion to hangovers every year because of reduced productivity and taking sick days from work. Hangover prevention pills are a brand new class of supplement which have exploded onto the market in recent years. Flyby is one of new brands on the scene designed to boost liver function in order to prevent some of the negative effects of alcohol. With so many new products emerging each year, we thought it’s a good time to put Flyby to the test. How does it fare against the top hangover prevention products? To answer this question, we take a closer look at the company reputation, customer reviews and ingredient list to see whether Flyby can compete against the best. 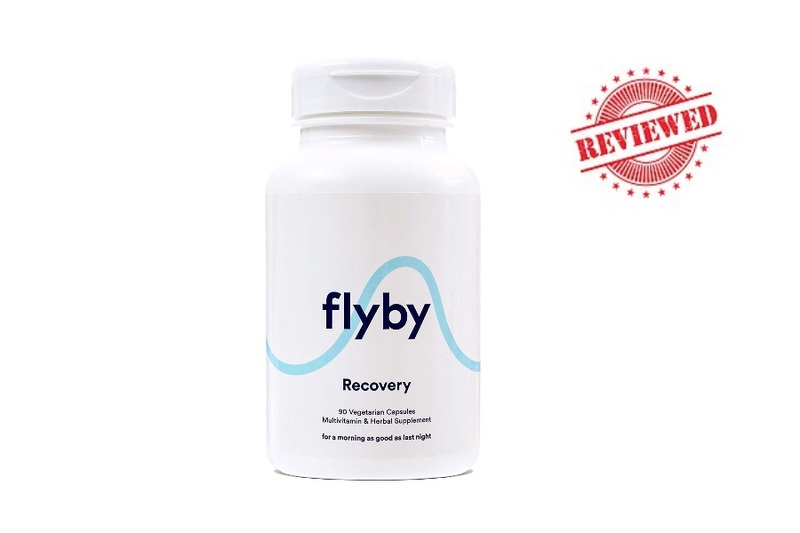 Flyby is a supplement that claims to be the best natural prevention for hangover symptoms. 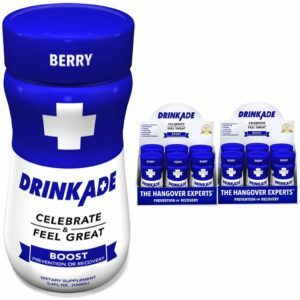 This hangover supplement is the brainchild of Eddie Huai, a young entrepreneur who is based in New York. 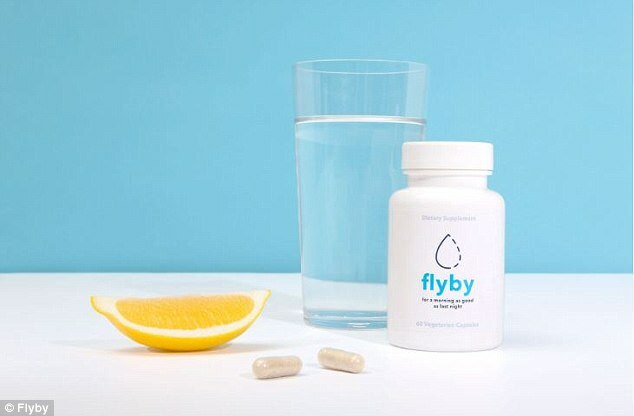 Flyby claims that their hangover remedy is “built on science, not superstition”, and uses high-quality ingredients to formulate his supplement. Their story seems promising, but we’ve learnt not to pay too much attention to marketing material over the years. Instead, it’s better to focus on important things such as the ingredients formula and customer reviews. So, with that in mind, lets take a closer look at the actual ingredient list. The first thing we notice is the use of a “proprietary blend” which is disappointing. Essentially, it’s a pre-made blend of a few different ingredients. You’ll often see supplement manufacturers use proprietary blends claiming to hide their “secret formula”. Well, with a proprietary blend, you have no idea how much of each active ingredient is present in their product. When it comes to supplement effectiveness, the dosing of ingredients is pretty crucial as low doses will give you an ineffective product. Proprietary blends are much cheaper to produce and as a result, manufacturers use them to cut production costs and increase margins. Therefore, we always avoid buying products that use them. Dihydromyricetin (DHM) is a powerful flavonoid that is derived from the oriental raisin tree. Its been shown by studies to up-regulate the activity of alcohol dehydrogenase (ALDH). This is the enzyme that breaks down acetaldehyde. Acetaldehyde is a well-known cause of almost all hangover symptoms. Flyby claims to have extracted DHM via a proprietary method so as to preserve its highest efficacy and purity. Silymarin, the active ingredient in Milk Thistle, is responsible for the herb’s perceived benefits. Studies have shown that it acts as a powerful antioxidant that can reduce liver inflammation. Milk thistle has been used anecdotally for years to prevent hangovers and many people swear by it. Flybys ingredients label says that their Silymarin content is standardized to 80% which is great, However, we still that no idea how much of it is in there. 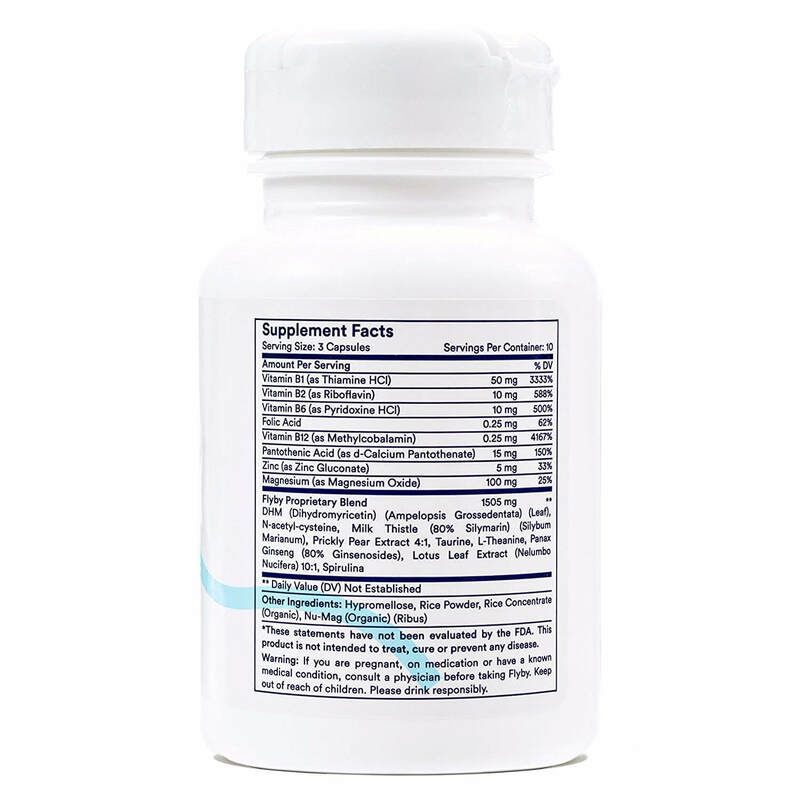 The B-Complex vitamins replenish your body with vital nutrients depleted by alcohol. This can help regenerate the enzymes used by your liver to break down alcohol. Insomnia and anxiety are two nasty symptoms commonly associated with alcohol side-effects. L-theanine is extracted from green tea leaves and has been shown to increase brain alpha waves. These are thought to induce a calming energy on the brain. There isn’t much research with regards to its use in hangovers, however we can see why Flyby would include this ingredient. Prickly Pear or Opuntia Ficus is also part of Flyby’s Hangover cure and prevention formula. Various studies have proven its effectiveness in easing common hangover symptoms such as headaches, dry mouth, vomiting, and nausea. Like Milk Thistle and Dihydromyricetin, Prickly Pear is also part of the proprietary blend. This simply means that we are still in the dark regarding its exact amount in this formula. The results of one study performed to assess the effects of Panax Ginseng found an interesting discovery. The extract enhanced blood alcohol clearance in 14 healthy male volunteers. The results of this study are promising, however its limited by the the tiny size of just 14 subjects so more research needs to be done on this ingredient before its effects are proved. NAC boosts the production of Glutathione. Glutathione is known as the bodys “master antioxidant” because it’s the most powerful known. Alcohols breakdown produces toxic by-products which cause “oxidative damage”. Antioxidants like glutathione help clear them from the body. Alcohol is a diuretic which means it increases the loss of water from your kidneys. With this, you’ll also lose electrolytes like magnesium. We’re happy to see its inclusion in Flybys formula to replenish stores. Although Flyby have included all the other B vitamins in their supplement, they have left out B3. We can only think this is because high doses of B3 can sometimes cause stomach aches. We still think B3 should be included in smaller doses as its essential for regenerating one of the enzymes (NADH) that breaks down alcohol. Ginger is a well known natural anti-sickness remedy and countless studies have shown that its effective at reducing symptoms of nausea. Many people suffer with hangover associated sickness so we always like to see this included in our choice of hangover pill. Curcumin, which is the active ingredient in turmeric is used around the world as an anti-inflammatory and natural alternative to painkillers. Hangover headaches can be quite debilitating so anything that could potentially help this symptom is useful. Extracted from black pepper, pipeline is a “bioavialbilty enhancer”. Essentially, it increases the absorption of nutrients from your gut. It’s particularly potent when it comes to increasing the absorption of B-vitamins and turmeric. Therefore we always want to see piperine included because it ensures you’re getting the most out of your supplement. So how does Flyby actually work? So now that we’ve covered the ingredients, we’re in a better position to explain how they work together. Hangovers are caused dehydration and “free radical damage” from the toxic by-products of alcohol breakdown. The solution to dehydration is to drink more which is simple enough. Free radicals are normally cleared by antioxidants which are produced by your liver, or you get them directly from the foods you eat. This is where hangover supplements come in. They are essentially supercharged antioxidant blends which provide your liver with support to carry out its detoxifying functions. How do you take Flyby? The manufacturers advise taking 3 capsules before your first drink and 3 straight after your last. This is a pretty standard dosing you’ll see in most top hangover supplements and theres a good reason for it. Its essential that the ingredients in these supplements can work before the toxic waste products of alcohol can exert their damage. Once you’re already hungover, the damage is done and the only real healer is time. 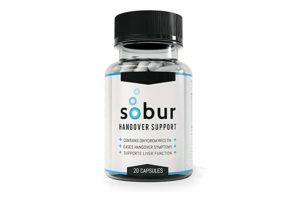 Are there Any Side-Effects with Flyby Hangover Pills? We haven’t heard any complaints about anyone experiencing some nasty side-effects. It’s probably because they’ve used all natural-ingredients. For this, we applaud Flyby for creating a product that doesn’t use any harmful ingredients. At the time of writing, Flyby has a 4.5 out of 5 rating on Amazon with a total of 1447 reviews. Overall the reviews are positive with most users having at least some reduction in their hangover symptoms. Some customers mention that it didn’t work for them. As with medicines, supplements work differently on people and so we expect to see some variation is results. Flyby Hangover pills are currently going for $17.09 for a 30 capsules bottle on Amazon. A 90 capsules bottle is going for and $34.99. You can also purchase it on their official website for the same price. You can also get a sample pack by paying for shipping charges only so its a good way of being able to test the product out before buying. Is this the best hangover supplement for me? Overall, Flyby is a decent product, but we don’t currently rate this supplement as one of the very best ones on the market right now. That’s mainly because it’s missing some important things like B3, Turmeric, Ginger and piperine. In addition, they use a proprietary blend which reduces the quality of their product. Remember that you can check out our guide to the leading supplements on the market right now by following the link shown below. When it comes to hangovers, following the simple prevention steps such as drinking plenty of water throughout your night as well as eating a meal before going out is key. Hangover supplements like Flyby only work as an aid to recovery. They are certainly not magic cure pills. If you’re planning on getting wasted, Flyby or in fact any hangover supplement just won’t work like you may expect it to. Overall, Flybys supplement is a good product. It uses some of the key ingredients that help alleviate hangover symptoms. However, we were disappointed by the omission of some key ingredients and the use of a proprietary blend. As a result, we don’t currently rate it as the best product on the market. You can order Flyby from their website.